Kultra FM is a popular station located in Berlin Germany , Its genres are Alternative & Gothic broadcasting in German language.For contacting purpose call on 030 / 930 260 75.Listen News about special events in your local ares.It is now becoming more popular in German community and for Advertising this is best station for promoting your business. 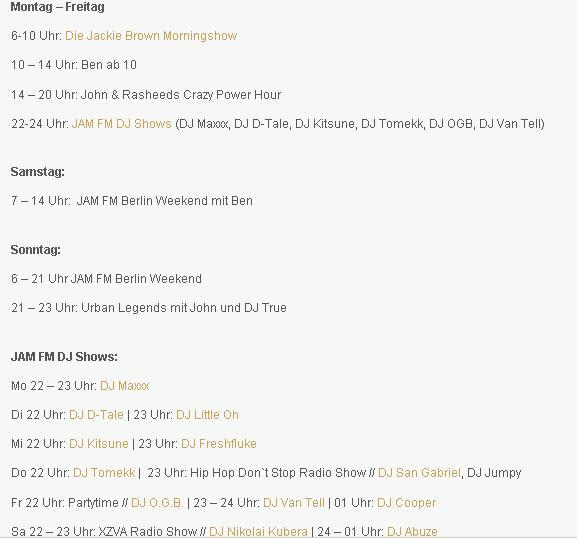 Jam FM Black radio founded in 1993 in Berlin (Germany).It started its transmission on 15 January 1994 on air.This is a hit music format playing latest hit music live.This station is wide radiated by cable and satellite Radio stations and focusing on Hip Hop , Soul and R ‘n’ B music.Its genres are Hip Hop & Funk on air stream 24/7 Hrs in German language. Metropol FM is Actually the first Turkish-language radio station which is located in Berlin (Germany).You can listen live Several Turkish music , International and National News , Entertainment Shows and much more.Metropol genres are Electronic-Dance, Turkish & Alternative.It is broadcasting in Turkish Language Berlin, Germany. MixNation Radio 104.5 is basically a unique station which plays in the field of re-mixes pop music.You can enjoy 24/7 Hrs live streaming from this website.You can listen rock, R & B and hip-hop music.It also offers the an exclusive collection of uptempo songs and remixes of famous stars such as Kelly Clarkson, Justin Timberlake, Beyonce, Linkin Park etc. Inforadio Vom Rbb De broadcasts 24 Hrs of News about politics, current affairs, weather , City road conditions, reports, Live talk shoes, interviews and reportage on the top issues of the day.This station is famous in Berlin, Brandenburg, Germany and the world.Every hour you can listen national and international News updates as well as Sports News & everything you need to know. 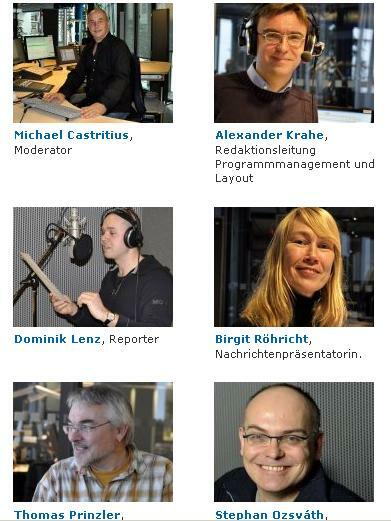 Its Genres are Culture , Information & Community.Broadcasts in German Language from RBB Network. Fritz Vom Rbb is basically the youth program of the RBB which is broadcasting on frequency 102.6 from Berlin live.This radio station is up to date with latest music trends, Very nice information on fashion , books , multimedia, music and film events as well as broadcasting news more reliable around the clock.You can also listen exclusive concerts from the Fritz-Studios. Fritz Vom Rbb Genres are Top 40-Pop , Rock & Soul in German language from RBB Network Germany located in Berlin.For playlist visit the official website. Hit 104 FM is a popular Berlin Radio Station which plays Top 40 hits from the Billboard charts and also the hottest hits from the United Kingdom (UK).On the station you will find the best of the best non-stop hits of all the time. Its headquarter is located in Berlin, Germany and for your suggestion and comments call on +49 30 8800104-00. In the point of view of Flux FM music is important and they inspire people to whom music is important.Mainly it broadcasts programs about pop culture, network world and urban life.This radio station connect creative peoples, makers as well as musicians.From official website obtain information about playlist which is currently playing.Its genres are Alternative , Indie & Punk. Deutschlandradio Kultur is basically a Cultural German Radio Station which is broadcasting cultural and musical programs in German Language live from Deutschland radio Network.You can enjoy 24/7 Hrs online streaming directly from this website.It is promoting cultural programs from Berlin, Germany.For contacting purpose just call on 030 8503-0.On official website you can see deutschlandradio kultur playlist .